I have seen the future and it is here. 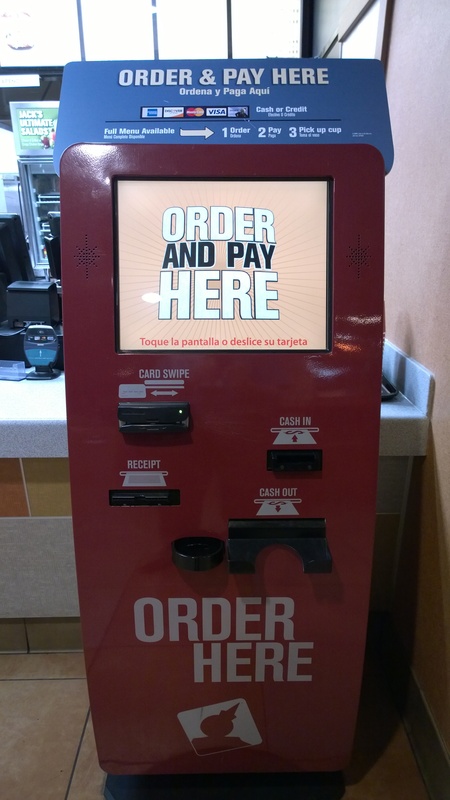 Forget the $15 per hour issue at fast-food restaurants, touch screens will replace language issues, wrong items orders, incorrect change, training time, no-show for work and that wait to place an order. I’d seen something like it at the mega-gas-station. Small screen to place your order, get a number and pick it up when done. Get exactly what you ordered. Well there is now a full-sized kiosk to order from. 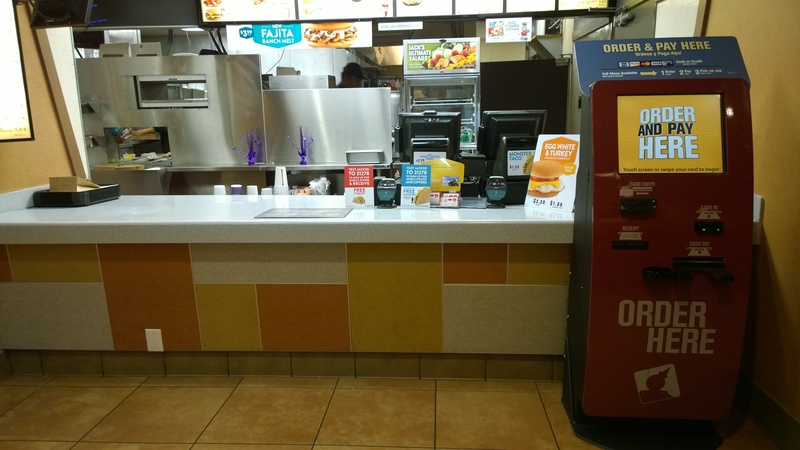 All it is going to take is some manager type up front to help those with interfacement issues and people in the back to make your order, done. BTW ‘interfacement issues’ will be a new term for people having problems with touch screens and self checkout lanes. So all the fuss about $15 per/hr will be a non-issue.